Last month I demonstrated creating an Azure VM with SQL installed using one of the default templates. 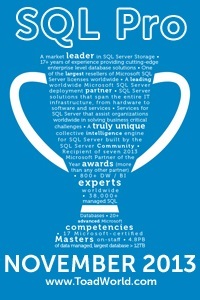 While this is a very easy way to stand up a SQL Server very quickly there are some downsides. Specifically, you have very few install options. For the most part, you can make changes after the fact but some things, like instance name, can’t be changed only set during install. A simple solution is to create a VM and then install SQL after the fact. First, you create a VM. I’m creating a windows VM here, but you could just as easily create a Linux server if you are using SQL 2017 +. I’m also using the Azure portal, which is great for a single VM. If you are going to be creating more than one or two you will probably want to set up a template and do it programmatically. Next is the tricky part. You need to get install media. In my case, I downloaded it from my MSDN account directly onto my VM, but you could just as easily use something like AZCopy to transfer the files. You can also create a disk, copy the media to it, then you could re-use that disk on as many VMs as you need. Once the media is available it’s a completely standard install. « Help it takes forever to open the SQL Server Log! I have done this exercise but I am facing issue to connecting the SQL database using SSMS from other system. The both server and other system on the same domain and using same network. You say SSMS is on a machine that is on the same network/domain. By that do you mean the SSMS machine is also in the cloud? Or is it on premisis? That said you might look into a firewall issue. That’s been my most common problem.